In addition, the jacket’s zip-in liner comes equipped with X-System anti-odor technology which controls odor-causing bacteria while simultaneously reducing existing odors. 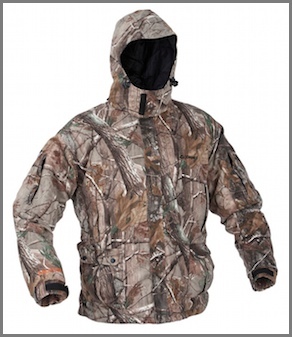 Designed primarily for big game or late season hunting and constructed of a quiet, bur-free micro suede outer shell and polyester inner lining, the 3-in-1 jacket and bib will provide you with durable, long-lasting comfort season after season. The water resistant, two-way front zipper and ventilating pit zips on the jacket properly vents when needed, allowing you to stay outdoors longer. A rear license loop is included on the jacket back.